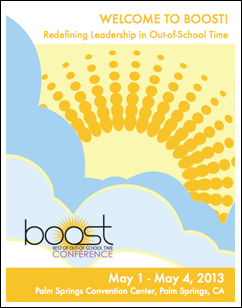 Please click on the 2013 Conference Brochure and download it to see what was offered at the 2013 BOOST Conference in Palm Springs, CA! 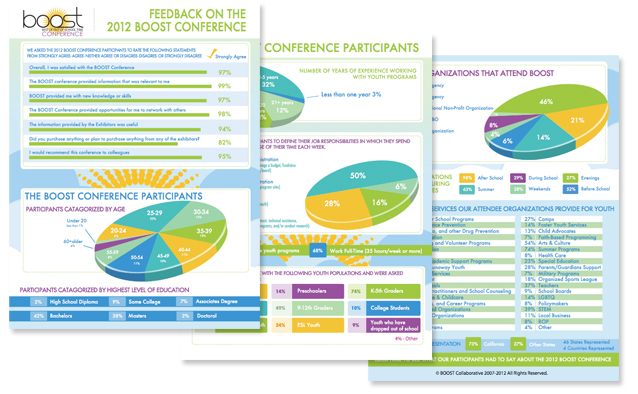 Please click on the 2013 Conference Workshop Evaluation image and download it to see what people said about the workshop sessions! Addressing Hunger Issues–If Not You, Then Who? Changing Students’ Eating Habits: What Works? 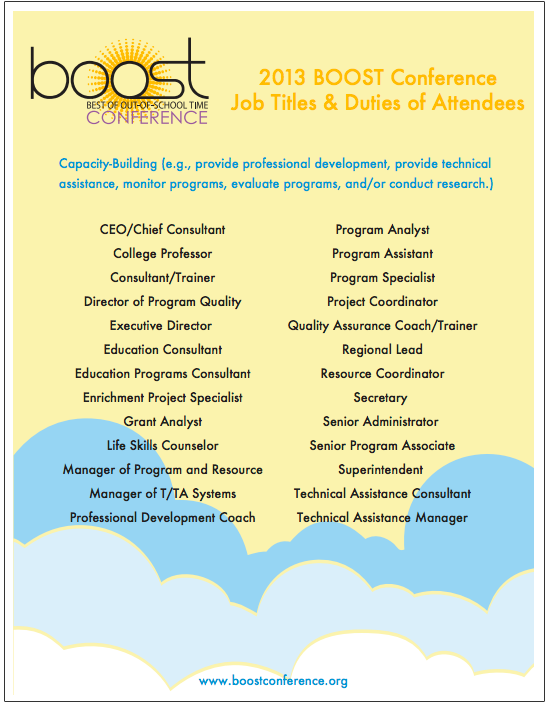 Going Beyond Changing Lives to Saving Lives! “Hands-On” Science (S.T.E.M.) & Nature Projects: Making Science Easy for Staff and Fun for Children! How To Find Your Passion And Make A Living At It - For Youth! Multiplication Nation: Get EVERY Kid to Know Their Times Tables! Ready? Set? Next Steps! What You Can Do Right Now, And How You Can Find The Money To Move Forward! 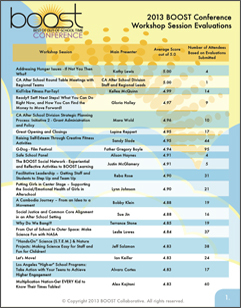 The Science of Inclusion - Engaging Minority Youth in S.T.E.M. Total Recall: Make it Stick & Make it Quick!